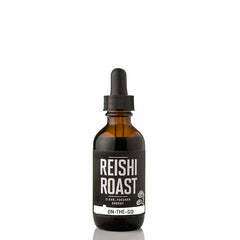 A classic and revered tonic, Reishi was once reserved for royalty to extend life and improve health. 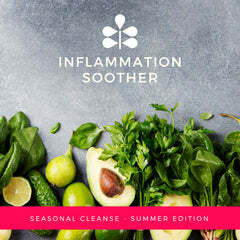 In recent times, studies have found it to contain more than 400 active constituents that lend to its antioxidant and anti-inflammatory properties. 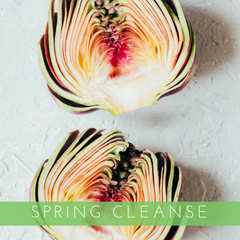 Combined with other powerhouse herbs like chaga mushroom, chicory root, dandelion root, milk thistle, and milky oats, Reishi Roast nourishes your nervous system, balances energy, and supports your adrenals, immune system and detoxification. Roasted chicory root*, reishi mushroom*, chaga mushroom*, milky oat strobiles*, roasted dandelion root*, mesquite pods*, raw cacao*, cinnamon bark*, milk thistle*, and Himalayan pink salt. 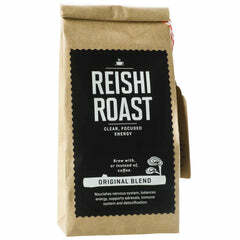 1 tablespoon Reishi Roast per cup of water.